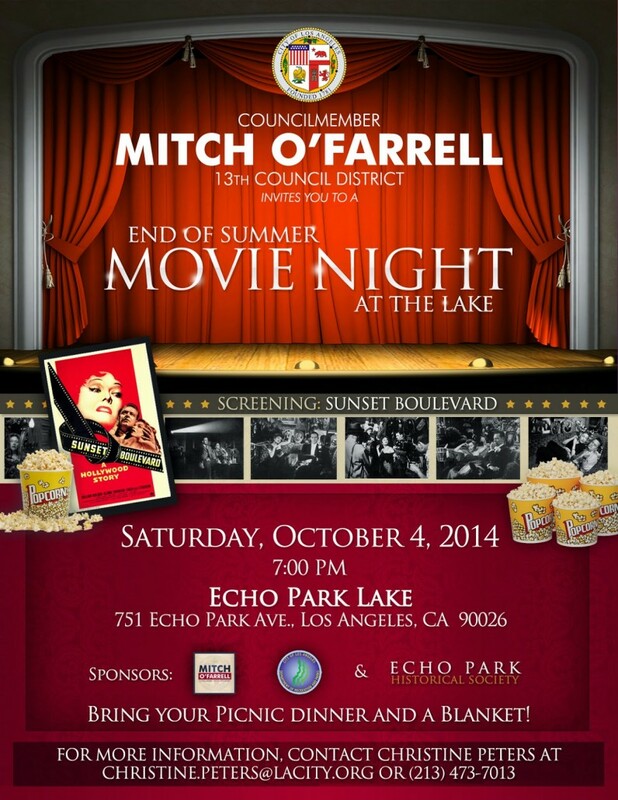 Councilmember Mitch O’Farrell, the Department of Recreation and Parks, and the Echo Park Historical Society will present the film noir classic “Sunset Boulevard” – compliments of Paramount Pictures – on Saturday, Oct. 4 at 7 p.m. at Echo Park Lake. Before the film begins, the EPHS will hold a meeting and history discussion starting at 6:00 p.m.
Bring a blanket, chair and your own picnic and enjoy a movie under the stars. The film will be screened in the northwest corner of the park near the Glendale Boulevard and Park Avenue.